Sometimes, a good cut and angle can transform how you look at (and place) your plants, and our Tapered Wooden Planters will have heads turning. 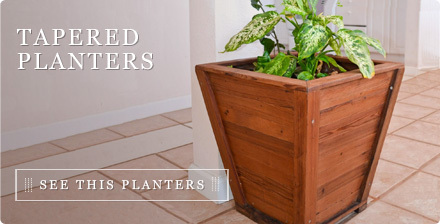 Tapered for style and fit, these planters blossom out on the top to allow for lots of soil, and the perfect framework to view your flowers, shrubs, or small trees. Check out both of the handmade planters we have for sale here online, and click through our custom options to make it just how you like it. 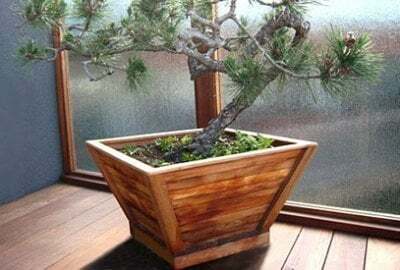 Our Forever Redwood Bonsai Planters have a traditional Japanese-inspired design, and are overbuilt extra strong to ensure years of use without much wear and tear. 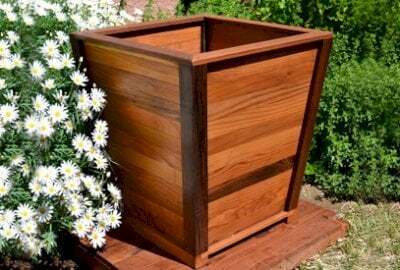 Our Tapered Wooden Planters are just as multifaceted, with a thick tapered top, perfect for even the strongest plants with the strongest roots. Both of these planters and handcrafted right here in our woodshop, and made exclusively from the world's finest timber.